If you provide table service then Visual POS Fine Dining is for you. 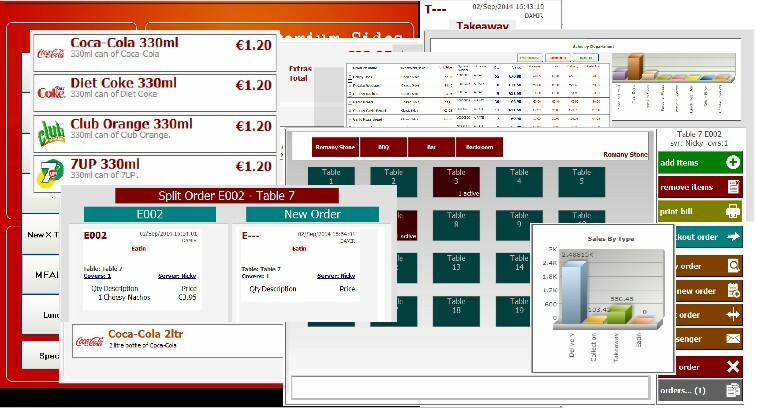 Integrated table layout maps and tracking, with the option of Visual POS Mobile handheld ordering pads for waiters, and all the features of Visual POS Classic makes this a flexible and future proof solution. Features like multiple price levels and price scheduling mean you can handle takeaways, deliveries and collections as well as dine-in orders. Kitchen and bar order breakout and split table options are just some of the features. Visual POS Fine Dining integrates with integrated credit/debit card processing, driver stations, prep stations, Back Office, stock control, camera systems giving you a fully scalable solution. Easy ordering system -- with full on-screen menu.